Hollywood star Paul Walker made an imprint in the Pinoy's psyche not only for his acting skills, but for his heart to help the victims of super typhoon Yolanda. In what could be seen as an ironic and depressing turn of events, street racing franchise Fast & Furious star Paul Walker, 40, was killed in a fatal car crash on Saturday, November 30 (US Time) in Santa Clarita, California. His untimely death was confirmed by his publicist, Ame van Iden via the actor’s official Facebook and Twitter accounts. “It is with a truly heavy heart that we must confirm that Paul Walker passed away today in a tragic car accident while attending a charity event for his organization Reach Out Worldwide (ROWW),” wrote van Iden. According to Hollywood entertainment website TMZ, which was the first to report about his death, the charity car show was intended to give additional aid to the victims of Typhoon Haiyan (local name: Yolanda) in the Philippines where his organization has been actively conducting relief efforts since mid-November. 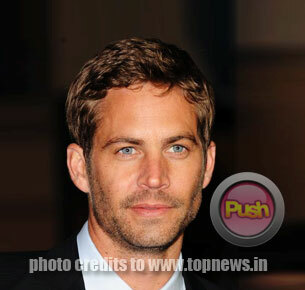 It added that Walker was passenger in a friend’s 2005 Porsche Carrera GT. In a CNN.com report quoting the Los Angeles County Sheriff's Office, it was believed that speed was a contributing factor to the collision. “The wreck took place about 3:30 p.m. (6:30 p.m. ET), about 300 yards from the office park where the event was held. The speed limit there is 45 mph,” the report noted. More, it added that the deputies who responded at the scene following a collision report found a car engulfed in flames. Walker of the Fast & Furious fame was working on the film’s seventh franchise due to be released next year at the time of his death. He’s also the star of independent film Hours which is slated to be released on December 13 which tells the story of a father struggling to keep his newborn infant alive in the aftermath of Hurricane Katrina that hit New Orleans, USA in 2005. Several days ago, while filming the seventh installment of the movie, Walker, together with his co-stars Michelle Rodriguez, Nathalie Emmanuel, Vin Diesel, Ludacris, and Director James Wan, via a video posted on ROWW’s website, called for more help for the Philippines. "We're reachin' out to the fans, we love Manila, we were there last year, we were received with open arms, we love the Philippines. Fans, we wanna rally you up. It's better to be armed and ready, let's start sendin' in some aid. 'Preciate it," Walker told his fans. Meanwhile, in a November 22 news update on the same website, Walker’s organization reported that their medical team finally arrived in Tabontabon, Leyte and have already assisted several families who have been victims of the typhoon Yolanda which made its first landfall in Visayas last November 8. “Here is how our trip has gone so far: We flew from Seoul Korea to Cebu, then took a 5 hour boat ride to Ilogos, then took a truck to the city of Baybay. We were able to stay with the Mayor of Baybay for a night. He then provided us with an armed security detail and a 3 truck caravan to the devastated city of Palo and then we traveled to the city of Tanauan where we met the Mayor of Tabontabon who asked us to come to his town. “Tabontabon is approximately 20 miles south to town of Palo. We met a medic here that has had no international assistance and has been treating approximately 100 people a day, so they're very glad we are here. We are staying in a room at the local school house nearby and are prepared to treat another 100+ people today,” said the report. The medical team which was composed of “trained medical professionals and first responders” left last November 19, turns out to be the second wave of help given by ROWW. Walker was survived by his 15-year-old daughter Meadow.